“No, the printing of the Gitar-gan cover this fashion is not at all approved by me. You have done most nonsensically. Why change the cover? When people look to see the Bhagavad-gita they expect to see Krishna and Arjuna, not the picture of Krishna with cow. You have done a great mistake by changing the front picture and it will hamper the sale. In future you don’t do any changes without asking me first. 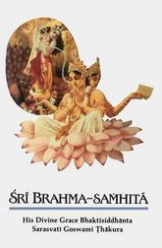 “I have just received the blueprint copy of KRSNA, the Reservoir of Pleasure and I have begun to read it through. But I notice that there are some points you should correct before the final printing. I have already noted you the injunction that you should change the pretipadika artha to first case ending instead. Sannyasin should be printed Sannyasi, etc. So please correct these. 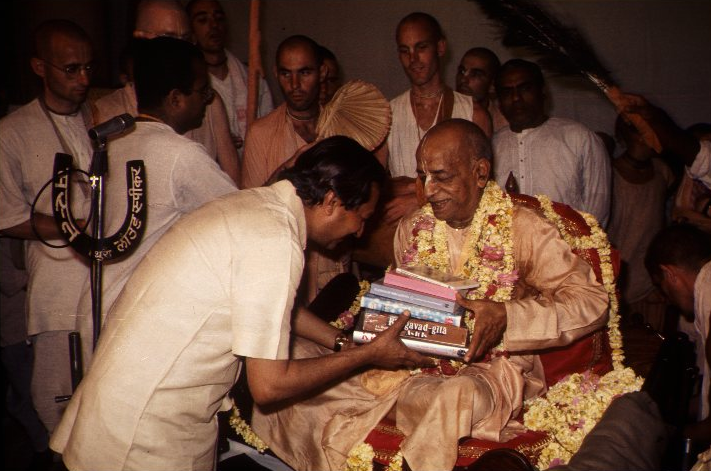 Prabhupada: Now here is “O sages,” and the word meaning is “of the munis.” Just see. Such a rascal Sanskrit scholar. Here it is addressed, sambodhana, and they touch it — “munayah – of the munis.” It is very risky to give to them for editorial direction. Little learning is dangerous. However proper Sanskrit scholar, little learning, dangerous. Immediately they become very big scholars, high salaried, and write all nonsense. Who they are? (pause) Then?